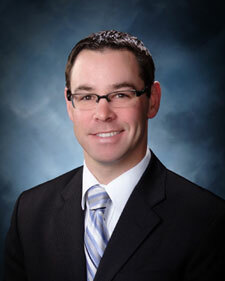 Dr. Jeff Kelly has been a chiropractor at Tri-City Chiropractic Center since 2004. His mission in chiropractic is to teach people about natural health care and help his patients achieve optimal health. Dr. Kelly graduated from Michigan State University and Logan College of Chiropractic. He is proficient in Diversified, Full Spine, Thompson, Proadjuster and Activator techniques. He also has a background in nutritional science and physical therapy. 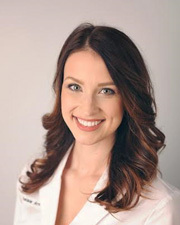 Her patients benefit from her specialization in Webster Intra-Uterine Constraint Technique, a chiropractic analysis and adjustment that is specifically for pregnant women with breech presentation. She has helped many women achieve their goals of natural birth, VBAC and overall comfort during pregnancy. Dr. Arnold also specializes in Diversified, Sacral occipital technique, Thompson, and Basic techniques, as well as Craniopathy. Dr Arnold is very passionate about treating kids and has seen positive results in behavioral issues, lack of sleep, teething, irritability, colic, reflux, constipation, ear infections, and plagiocephaly by the use of pediatric specific adjusting techniques to correct underlying structural issues affecting the nervous system. She is committed to providing thorough and effective chiropractic care for the whole family. Dr. Arnold’s passion for naturally helping others achieve health and wellness fits perfectly with Tri City Chiropractic’s mission.